My kitchen was finally competed last weekend. I’ve been working off and on all week, organizing all my things back in the cabinets. Hopefully by tomorrow it will all be back to normal, and we’ll be able to eat in our dining room again. I’ve cooked a few meals in the new kitchen, but I’ve still been drawn out to the grill area. I think we’ll be using the grill area now alot more than last year, probably a few times per week. I’ve been making lots of grilled wings, and wanted to make some the other day, but didn’t want to do all the prep work. That’s when I spotted these Tyson frozen already cut up wings in the freezer section. Since partnering with the NFRA (the National Frozen and Refrigerated Foods Association), I’ve really come to appreciate how much time I can save on prep work by purchasing ready to use frozen items. 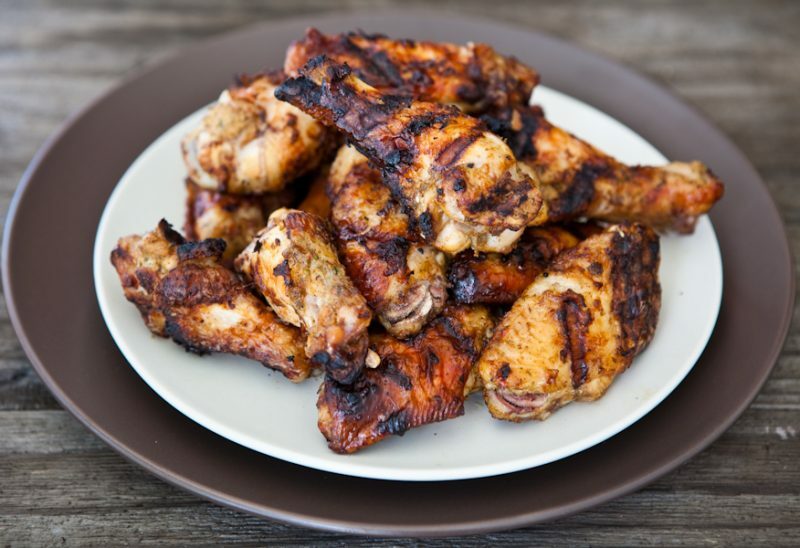 And these wings are so easy – just defrost, add some seasonings and you’re ready to cook. And the big bag is so convenient too, you can cook the whole bag, or just use as much as you need and keep the rest frozen for future use ready to go in your freezer. For these wings, I deforested them and patted them as dry as I could, and then put them back in the bag. Then I made a quick jerk wet rub for these wings in my food processor, and let them marinate in the rub a few hours before grilling them. For the rub I added fresh green onions, a hot pepper, lots of jerk spices, soy sauce and vinegar to my food processor and pulsed it until it was combined. If you want to make a milder version, just use about 1/3 of a sweet red bell pepper and just a pinch of cayenne pepper for flavor. 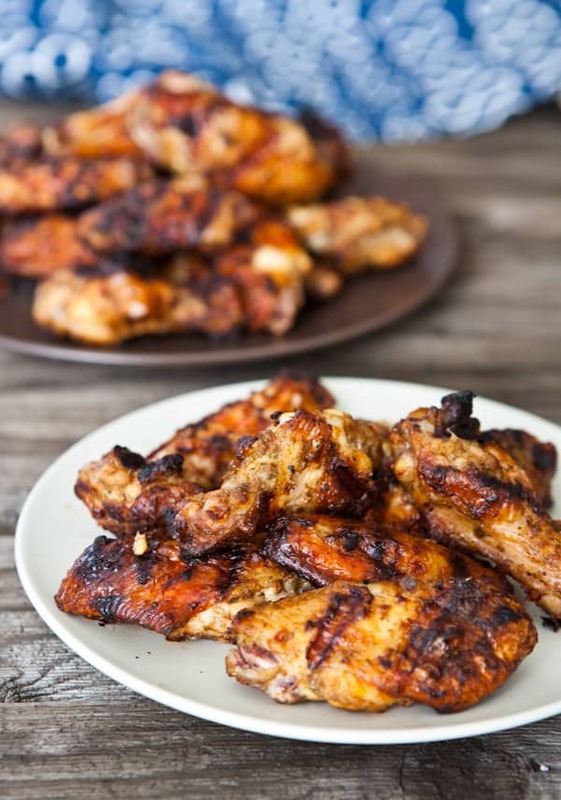 This way these wings are safe for your little ones! Then cook on the grill, or bake in the oven until deep golden brown. Serve with a simple salad or mixed grilled veggies. I am starving and these look ah-mazing! Wowzer. I’d be so happy if these magically appeared in front of me for dinner tonight! I’m with Rachel. I wish there was a wing fairy that would come grill these up for me. Congrats on the kitchen! 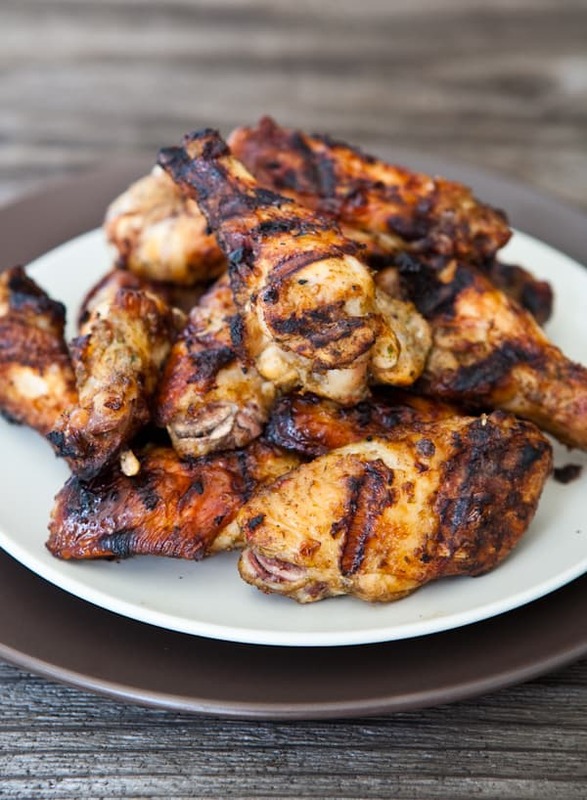 This marinade looks amazing!! This looks like the prefect thing for summer grilling! 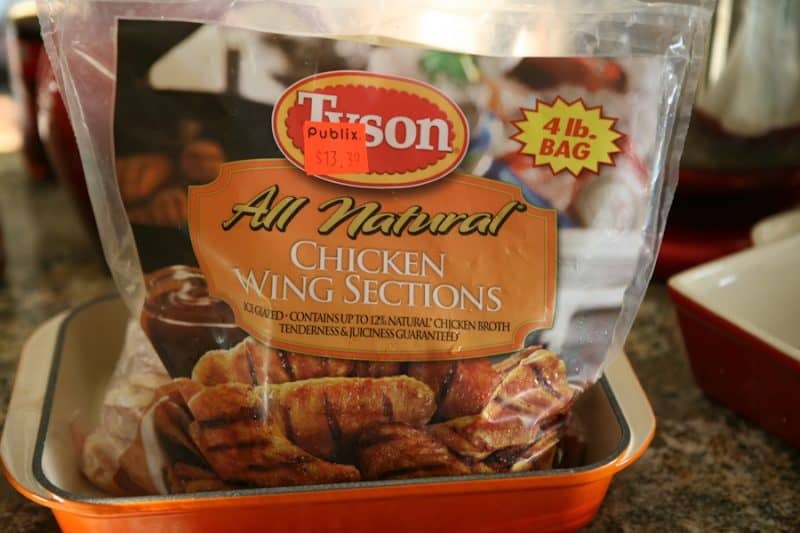 Wings are quickly becoming a favorite meal for our entire family, love these! !